Letizia Financial is an independent, full-service wealth management firm located in McHenry, IL. Our primary objective is to help our clients discover assets that are needlessly and unknowingly being transferred away from them. We believe in a disciplined approach that aims at providing reasonable rates of return while minimizing the negative effects of economic volatility. We are well equipped to assist clients with nearly every aspect of their financial plan, including retirement planning, insurance and risk management, employee benefits, tax planning, and estate planning. Patrick J. Letizia, NSSA, LUTCF is a member of the Court of the Table, Million Dollar Round Table (MDRT) and the National Association of Insurance and Financial Advisors (NAIFA). He upholds the high standards of ethics of these organizations. Patrick is a qualified professional who has one goal in mind - to help you achieve your financial objectives. Our caring, professional team is active in our community and understand the challenges that we all face every day. Financial markets are more complicated and challenging than at any point in recent history. 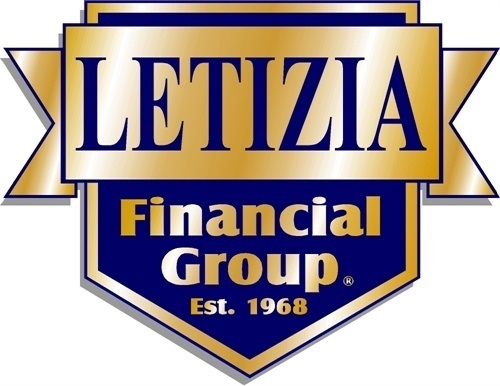 Learn more about Letizia Financial and see how we can help. Investment advisory services offered through Brookstone Capital Management, LLC (BCM), a registered investment advisor. BCM and Letizia Financial are independent of each other. Insurance products and services are not offered through BCM but are offered and sold through individually licensed and appointed agents.The content of this website is provided for informational purposes only and is not a solicitation or recommendation of any investment strategy. Investments and/or investment strategies involve risk including the possible loss of principal. There is no assurance that any investment strategy will achieve its objectives. The Million Dollar Round Table is a trade association to help insurance brokers and financial advisors establish best business practices and develop ethical and effective ways to increase client interest in financial products, specifically risk-based products like life insurance, disability and long-term care. Annual qualification requirements include demonstrating a set annual production requirement and agreeing to a code of ethics, but is not based on client experience or performance. To qualify for Court of the Table, a member must demonstrate annual commission of three times the base requirement. For more information regarding the Million Dollar Round Table eligibility, please see https://www.mdrt.org/membership/requirements/. Membership in no way constitutes an endorsement from Million Dollar Round Table or any client. The National Social Security Advisor (NSSA) certification is obtained by completing eight hours of coursework, passing a certification exam, and requires sixteen hours of biennial continuing education. The NSSA certification is not affiliated with or endorsed by the Social Security Administration or any other government agency. More information regarding the certification can be found at https://nationalsocialsecurityassociation.com/become-an-advisor/.